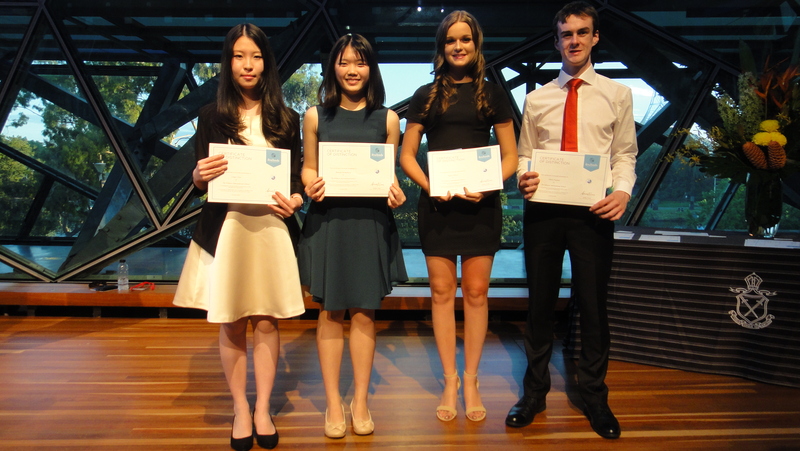 The Annual International Baccalaureate Diploma Award Ceremony was was held on Federation Square on the 24th of February, 2016. 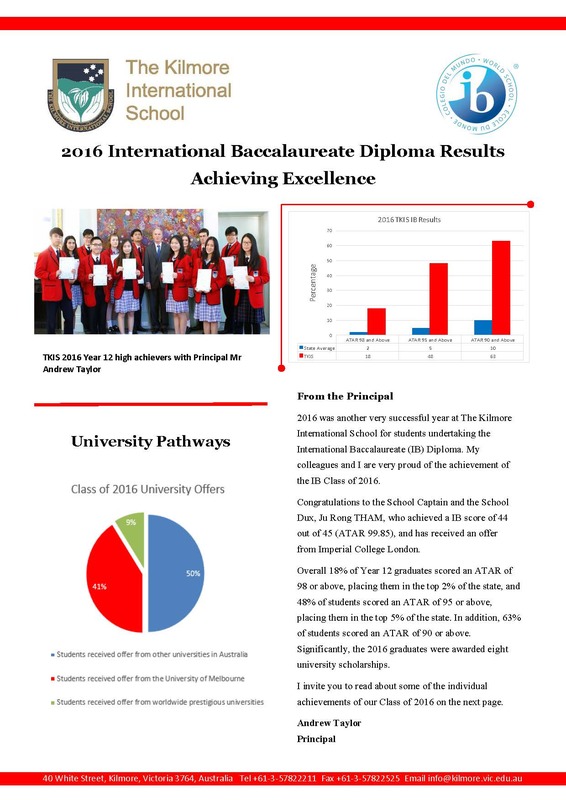 Eleven TKIS students were eligible for the award which is presented to IB candidates that achieved an IB score of 40 or above. 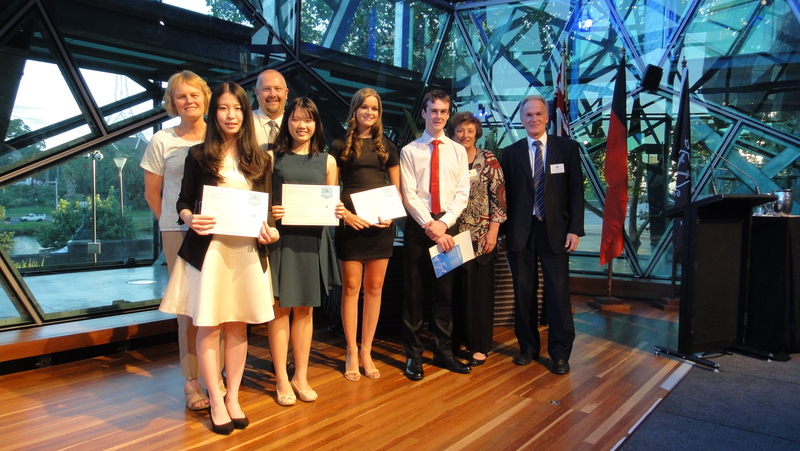 Of the eleven awardees, seven were able to attend on the night including: Yuanlin Feng, Angus Franks, Antonius Jaegar, Irene Park, Chang Ren, Brioude Synnot and Mao Yukawa. Congratulations to our School Captain, Angus Franks, who gained a perfect score of 45 in his recent IB Diploma examinations! 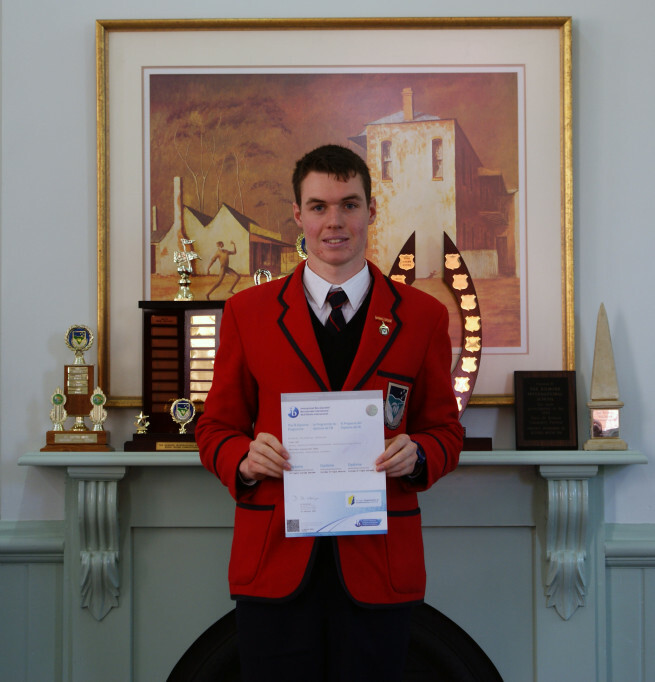 He has accepted a place to study Medicine at Monash University and has been awarded a Sir John Monash Scholarship for Exceptional Achievement. 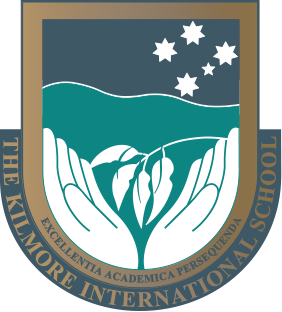 TKIS School Captain Angus Franks gained a perfect score of 45 in IB Diploma examinations. Angus was an outstanding school leader and all-rounder, participating in the Duke of Edinburgh Silver Award and regularly attending the United Nations Victorian Youth Conference. An accomplished cellist and a member of the Resonance String Orchestra, Angus has regularly performed in concerts at The Elms Retirement Village and he also enjoys horse riding in his spare time. 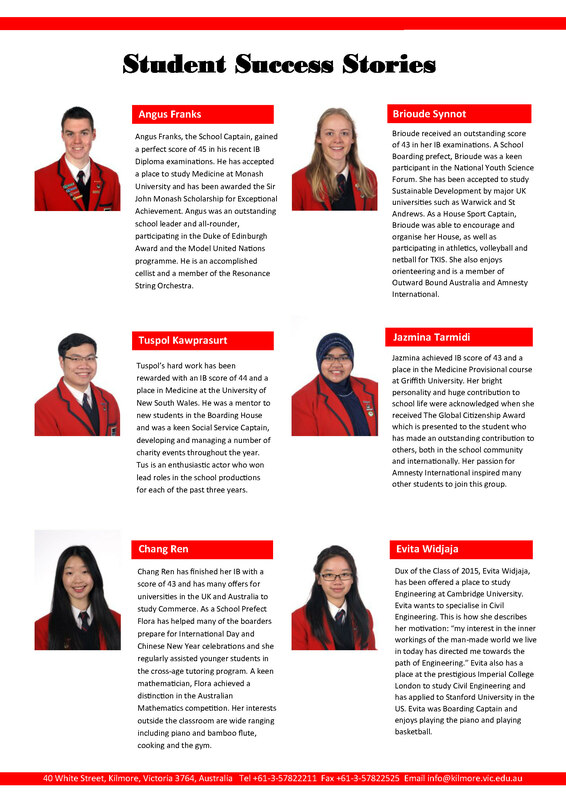 Congratulations to our Dux of the Class of 2015, Evita Widjaja, who has been offered a place to study Engineering at University of Cambridge. Evita wants to specialise in Civil Engineering, she once described her motivation – “my interest in the inner workings of the man-made world we live in today has directed me towards the path of Engineering.” Evita already had a place at the prestigious Imperial College London to study civil engineering. 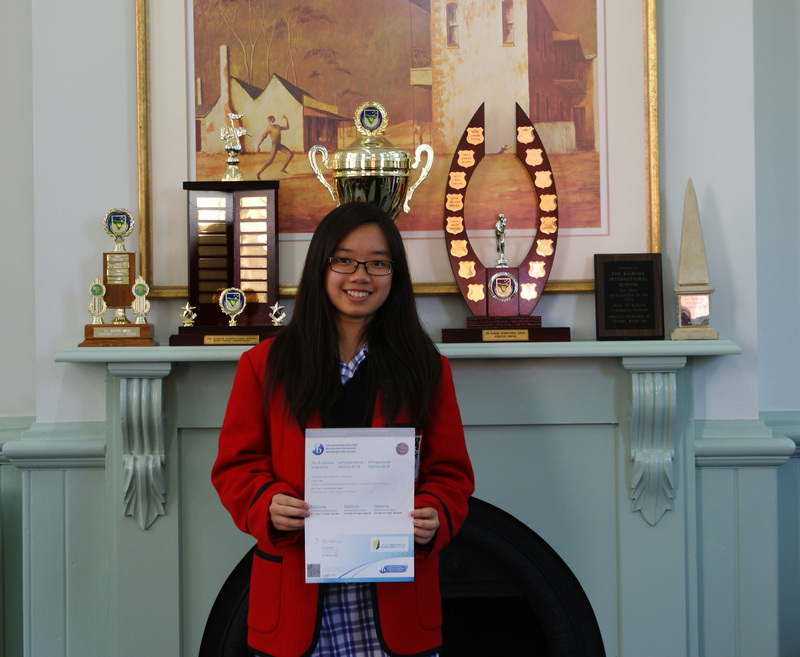 As well as achieving an outstanding IB score, with 7 in HL Mathematics and HL Physics, Evita also achieved High Distinctions in Australia wide Economics and Mathematics competitions in 2015. 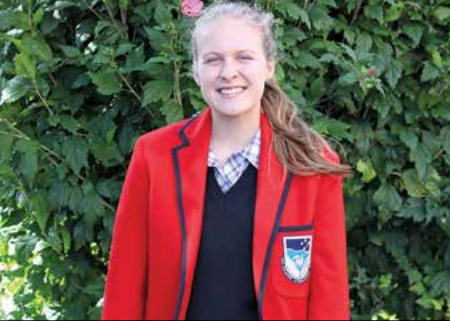 Evita was Captain of Girls Boarding and in her spare time enjoys playing the piano and playing basketball. We wish her every success in her future studies! 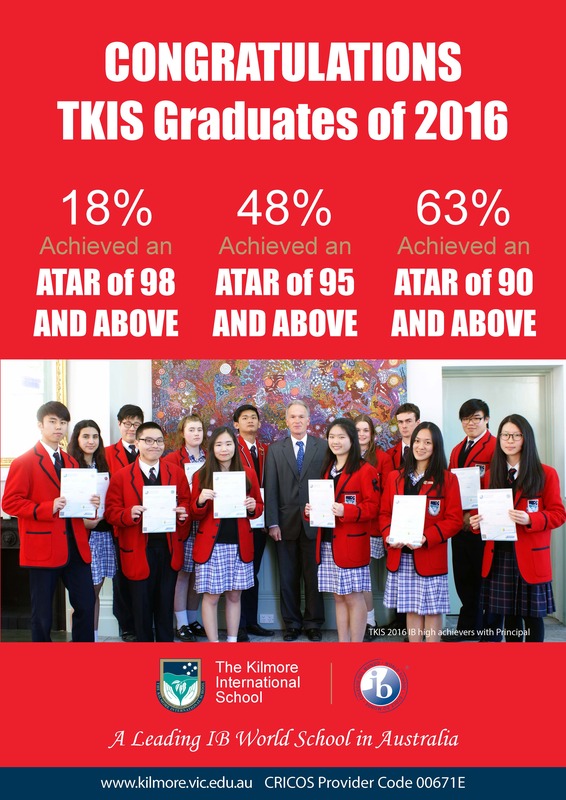 Celebrations for the 25th Anniversary Year of TKIS have continued as the Class of 2015 achieved outstanding results in the IB Diploma examinations! 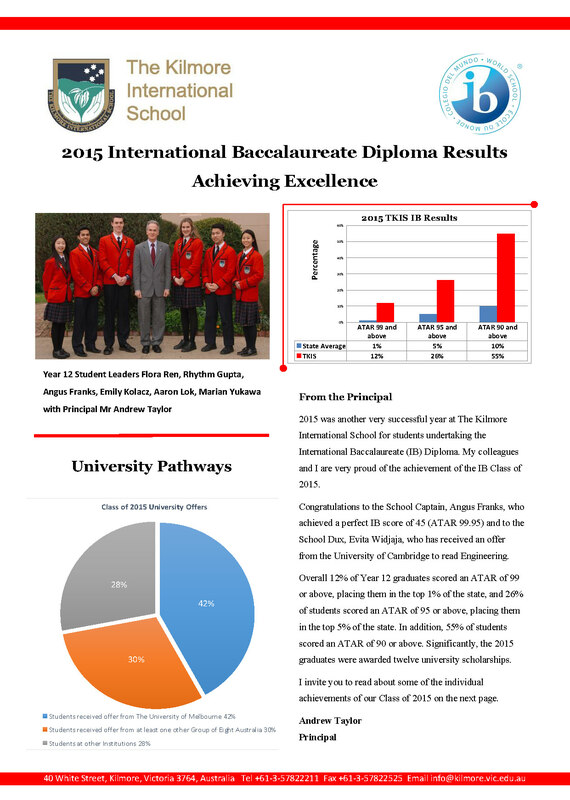 55% of the 69 students achieved an ATAR of 90+. Among the high achievers are 11 students who scored ATARs over 98.30. 36% of students received at least one perfect score in their subjects. Their global outlook is seen in number of applications to prestigious overseas universities such as Imperial College, Edinburgh, and University of California (Berkeley). Others are planning to study at Group of Eight universities e.g. Melbourne, ANU, and Sydney. Early offers are for Medicine, Dentistry, Fine Art, Architecture and Civil Engineering. Others are awaiting local offers for courses ranging from Commerce to Secondary Teaching, and from Agriculture to Computer Science. 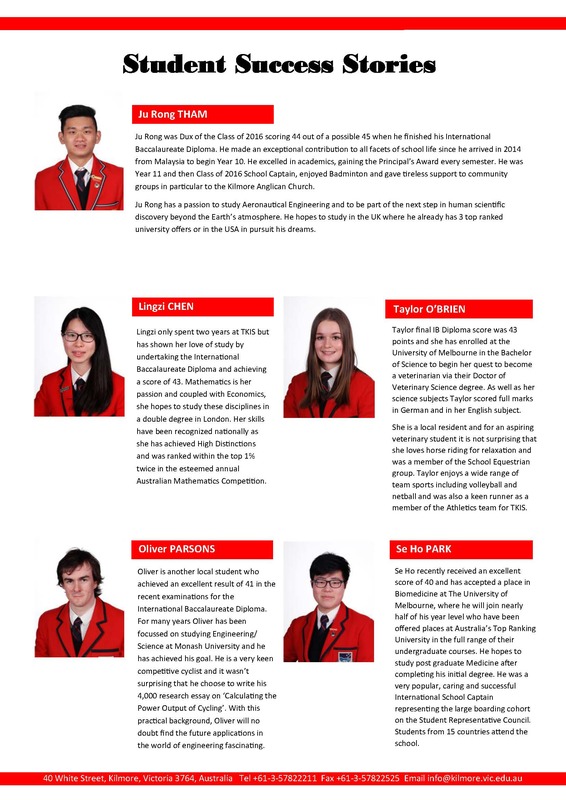 2016 will be an exciting year for these TKIS graduates. Once again, TKIS enters the graduation season. 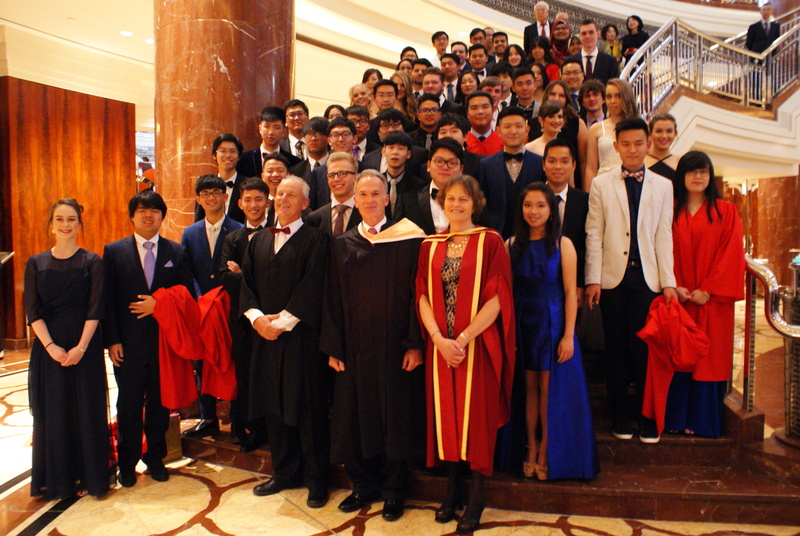 On 24th November, TKIS held the Graduation Ceremony for Class of 2015 at Park Hyatt Melbourne. We are glad to welcome parents and guests from Melbourne, Victoria and overseas to share and witness the beginning of a new chapter for all students in Class of 2015. Congratulations to the Class of 2014 on their examination results. 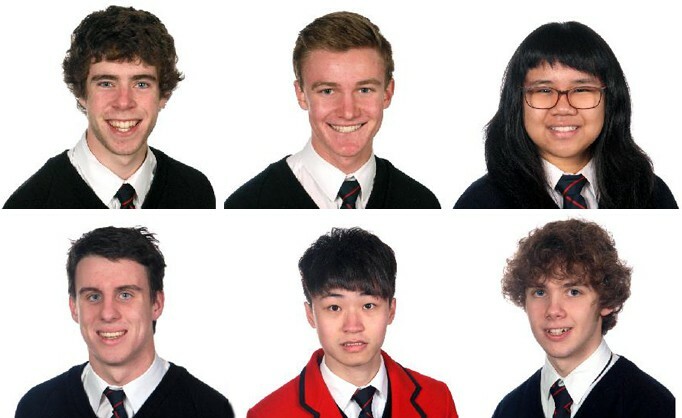 Pictured below, clockwise from top left to bottom right – High achievers Benjamin Eid with an IB score of 41, Matthew Doyle and Money Nithisoontorn with an IB score of 40 and Jay Finn, JIANG Chang (Chance) and Cameron Moir with IB scores of 39.